What happens to a town that loses its heart? Swannanoa, a small town in the mountains of North Carolina, was once home to Beacon Blankets, the largest manufacturer of blankets in the world. Blanket Town chronicles the rise and fall of this company town, which was entirely built around the “big red thumping heart” of the mill. It is a huge story -- the rise and collapse of US manufacturing -- told small. This complex and urgent history comes alive through amazing archival footage, interwoven with the voices of former mill workers and townspeople -- rich and poor, white and black, male and female -- who speak with honest emotion and humor. 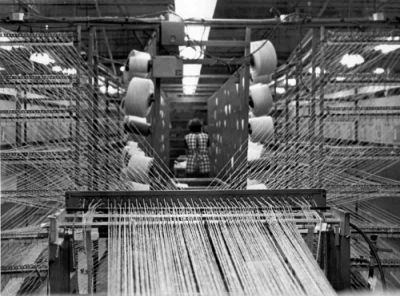 Since 1992, almost 70% of North Carolina’s textile and apparel jobs have disappeared. Through one fascinating and moving case study, Blanket Town brings viewers a deep personal understanding of complex economic and social forces that shaped our industrial past and our uncertain present.